McGrath shot straight from the hip saying that the Indians were fooled by the “hype” surrounding the deck. Virat Kohli’s team selection ahead of the second Test in Australia in Perth has not only raised eyebrows among fans but has also received flak from pundits for being the wrong call on a drop-in wicket that’s being used for Test cricket for the first time. Glenn McGrath, the legendary former Australia pacer, was primary among them. India went in with a four-pronged pace attack with no specialist spinner for only the third time in history, at the Optus Stadium which is hosting its first Test match. However, Australia retained off-spinner Nathan Lyon. Kohli named Umesh Yadav in the XI ahead of both Bhuvneshwar Kumar and Ravindra Jadeja in place of the injured R Ashwin while Hanuma Vihari replaced Rohit Sharma. While Perth is traditionally a bouncy wicket aiding pacers at the old WACA ground, this was a new strip that attracted a lot of chatter fuelled by the curator’s quotes and initial photos of a green-top. Kohli responded with a bullish attitude, saying India were more excited than nervous, in a press conference were majority of the time was spent talking about the pitch. However, as Australia’s opening pair of Aaron Finch and Marcus Harris piled on the runs in the first session after choosing to bat, it seemed that the pitch was not as vicious as expected. And McGrath shot straight from the hip saying that the Indians were fooled by the “hype” surrounding the deck. “They have got caught up in the hype and felt this pitch was going to do everything, bounce, pace, carry, seam,” McGrath told Channel Seven. Former England captain Michael Vaughan went on to say that “India has got the team wrong”. “I just thought at Adelaide Oval, I know it’s a different pitch, but the balance of the attack was spot on. 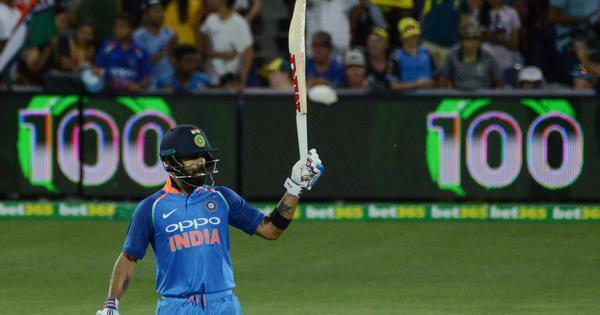 The three quicks are outstanding and I do think over the course of the next few days Virat (Kohli) will be looking over his shoulder and thinking ‘why didn’t I play a specialist spinner?’,” Vaughan told Fox Cricket. India’s Harsha Bhogle also concurred with the view pointing out Lyon’s presence if the playing XI.